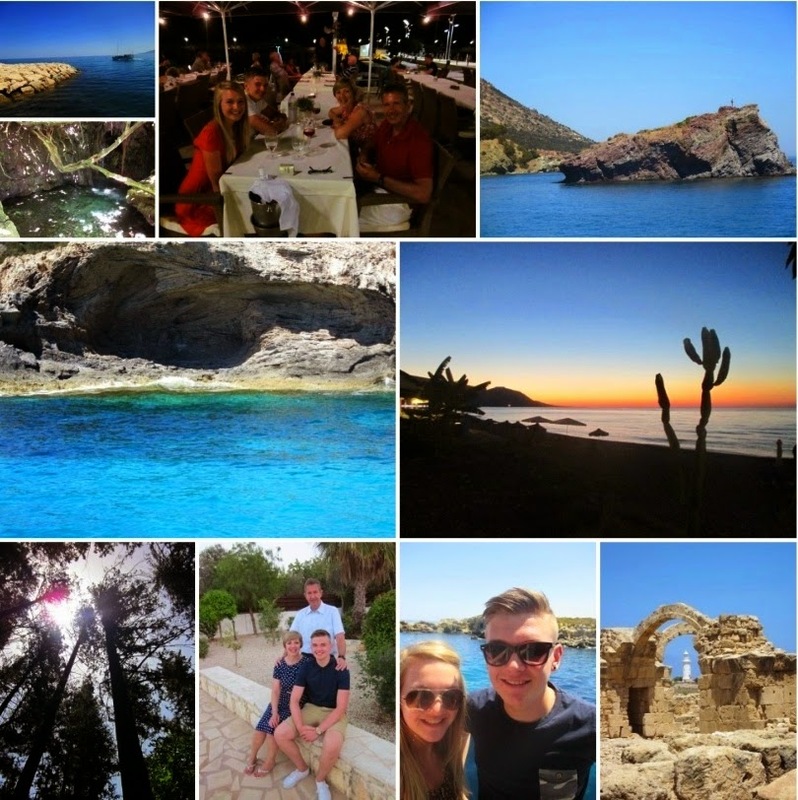 I've just got back from a lovely 2 weeks in Cyprus with my family. I think it'll probably be our last family holiday as hopefully I'll have a job by next year and my brother probably won't go away with just my parents. The weather was ridiculously hot whilst we were over there so a lot of the time was spent in the pool. However, we did do some exploring and visited the Baths of Aphrodite which, apparently, if you bathe in the water you will have eternal beauty. Also, it was my brother's birthday whilst we were away so we went on a boat trip and went out for a really lovely meal at a fancy restaurant. On the boat trip we got to swim in a part of the bay called the 'Blue Lagoon' (it features in one of the photos above), it was absolutely gorgeous. We visited the main town near us called Paphos and experienced a bit of culture as we walked around some ancient ruins. Having just finished my exams it was really lovely to just get away from England and to have a nice relaxing break. Now it's back to job hunting and praying someone will employ me!